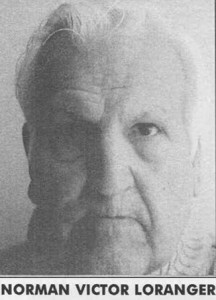 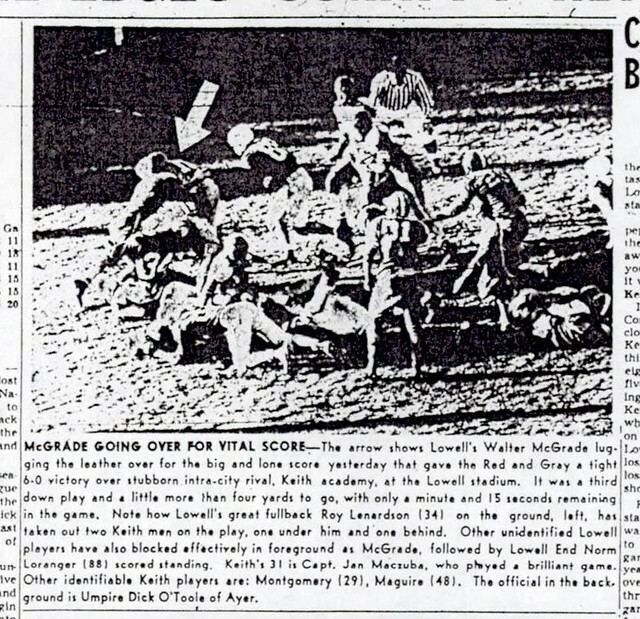 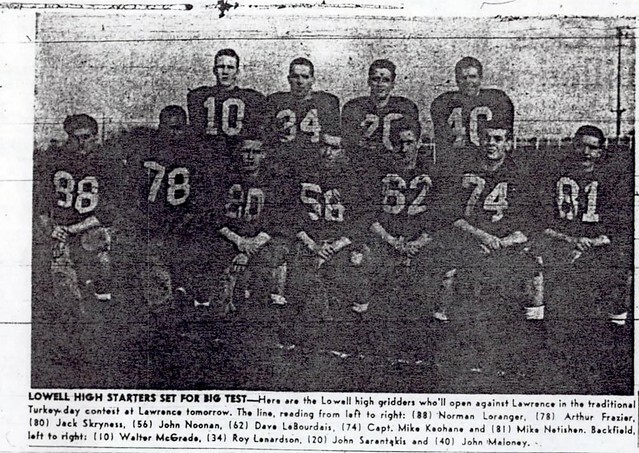 Another of the standouts of the gridiron under legendary Hall of Fame Coach Raymond Riddick, Norman Loranger won honors at the local, state, and national levels as a member of the Lowell High School football juggernaut of the 1950’s. 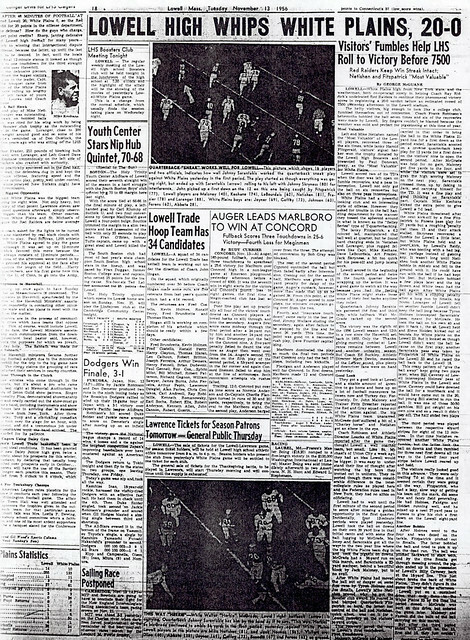 A three-year player, Norm was a stellar two-way end on teams that compiled an overall record of 26–1 from 1954–1956. 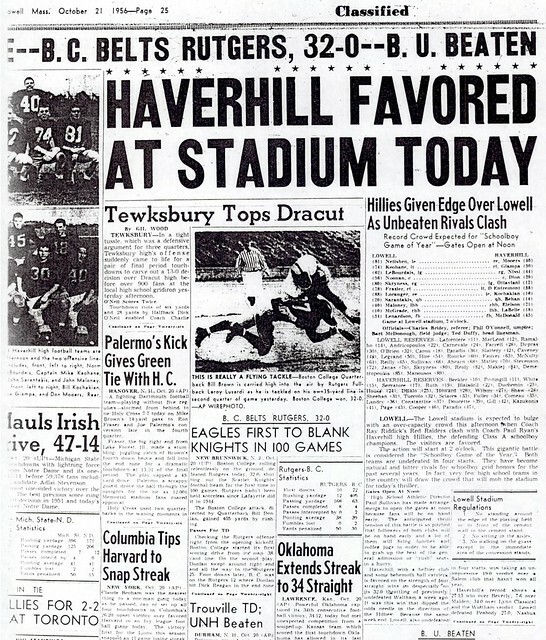 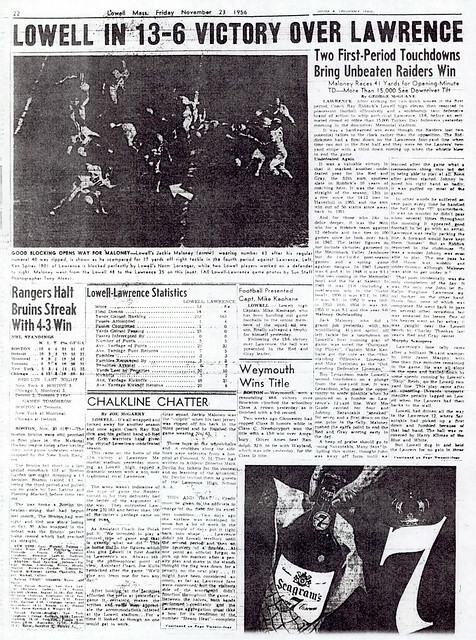 Instead in that run was a 3rd consecutive Eastern Mass Class A Championship in 1954. 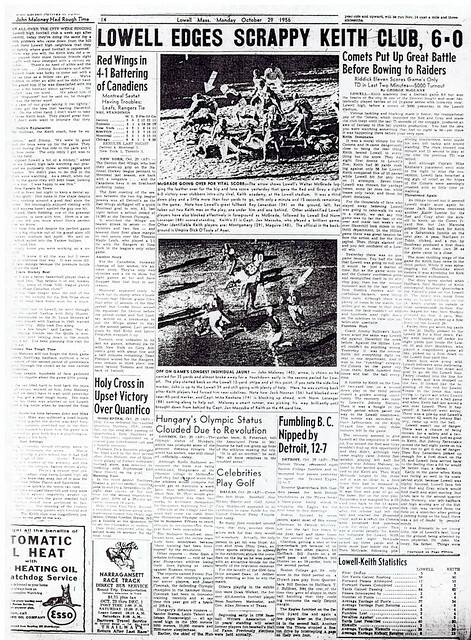 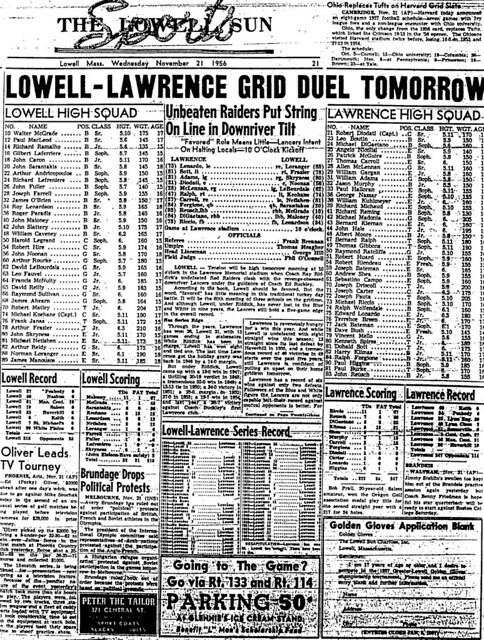 The 1955 and 1956 teams (of which Norm was an integral part) outscored the opposition 282–40 and 228–31 respectively in those seasons. 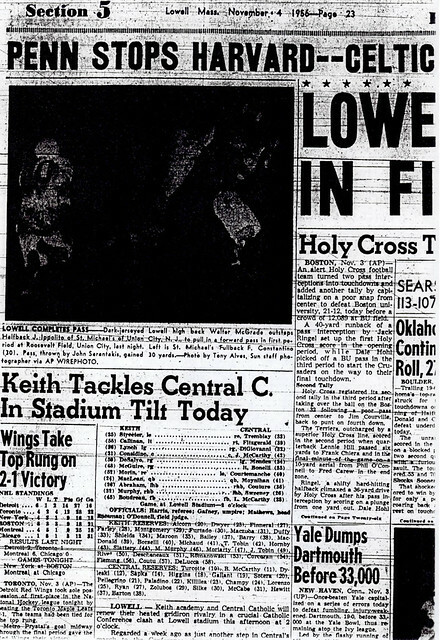 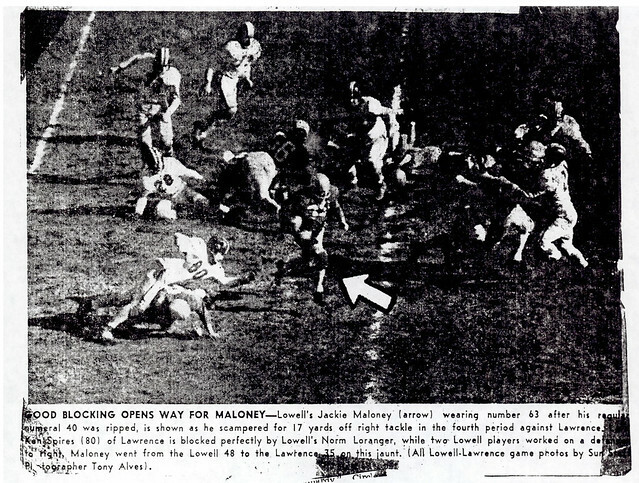 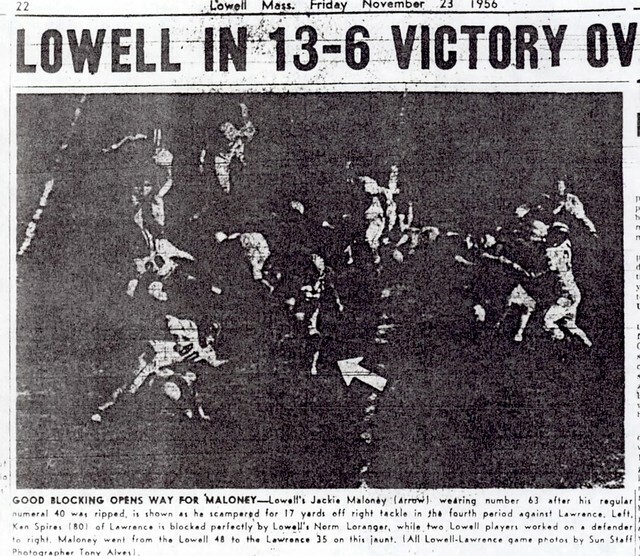 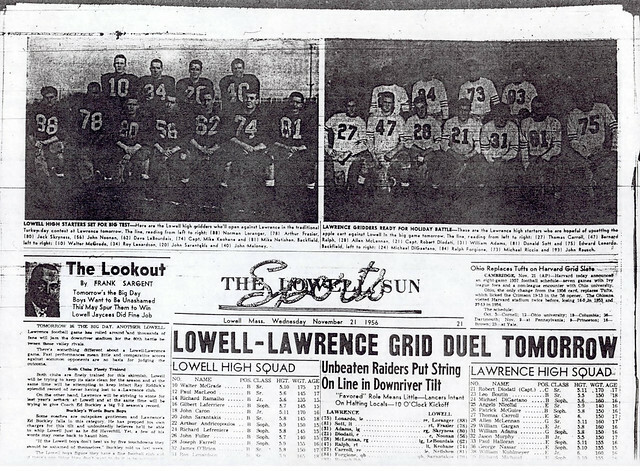 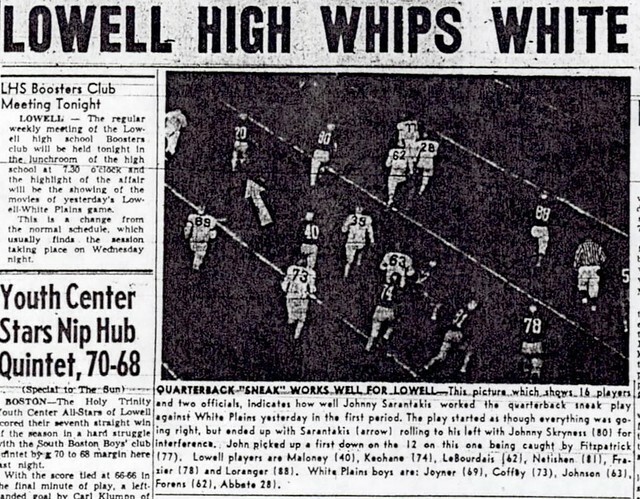 The 1957 Lowell High School class president, Norm received All­Scholastic honors at the conclusion of the 1956 season and was one of the rare LHS athletes to be named as a High School All-American (2nd team) as well. 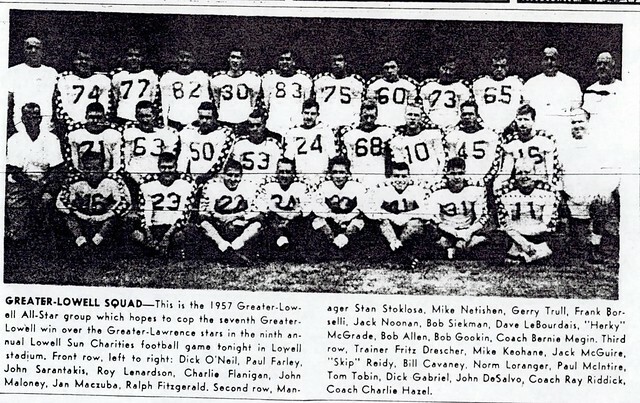 Norm received a full four-year football scholarship to NCAA Division I powerhouse Michigan State University under Legendary Coach Hugh “Duffy” Daugherty. 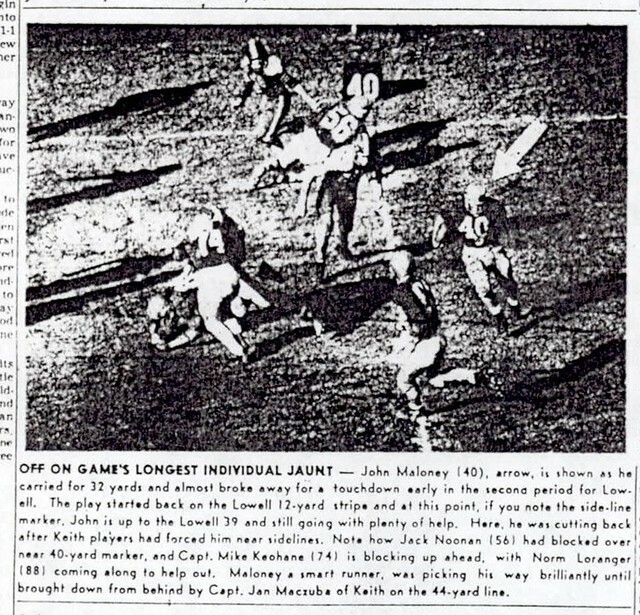 In addition to Coach Riddick Norm joins many teammates in the Hall of Fame, including 1957 classmates Walter “Herky” McGrade and John Maloney, as well as John Freitas, Donald Giuffrida, and Paul Picard.